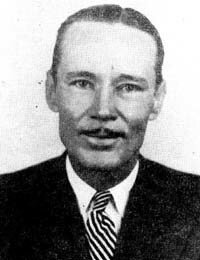 Shelley Lee Alley was born on his father's ranch in Alleyton, Texas. It was said that he came from a musical family. So much so, that he had written his first song by the time he was all of six years old. Shelley Lee Alley holds a distinction of being one of the first pioneers of radio entertainment: he broadcast the first program over radio station WFAA out of Dallas, Texas. They said he was a prolific songwriter and had recorded many of his own compositions for 'one of the large record companies'. He was married back in 1941 and was said to spend his leisure time writing and arranging music.